A Kentucky Republican Tuesday launched a new audio series, the New Kentucky Podcast, to cultivate the next generation of sports radio listeners in Kentucky. John Cox, communications director for the Kentucky Senate Republican Caucus, says he wants his show to include intelligent listeners in all 120 counties who share four core values: a passion for Kentucky Basketball and Football; a universal appreciation for the Commonwealth of Kentucky; a general interest in other random news and views; and a desire for a sports show about UK Athletics, featuring a host from a different side of the political aisle than what listeners are used to. The methods listeners use to achieve those goals can be respectfully debated, but the goals themselves are non-negotiable, Cox said in an interview. Kentuckians are badly served by “a biased sports radio system” in which a Democratic host promotes a “left-leaning” agenda while local conservatives fail to offer alternatives, Cox said. Wildcat radio fans are on track to become the next Indiana; a poor, unhealthy fan base that clings to the past, he said. “It is clear to me that our sports radio model is not working, that liberal hosts as a delivery system for tangible results is not working, and it has to be changed,” said Cox, who currently writes for SB Nation’s A Sea of Blue in his spare time. Cox — a self-described conservative who has worked in state government for two years — said he has listened to Matt Jones’ radio program for the last three years and has heard the cry of his listeners. Most are disgusted by his constant Liberal sniping over the airwaves because it does nothing to help their sports knowledge, Cox said. KSR is out of touch with what the general public cares about, he added. “My friends always ask, ‘In a world of 400 channels, why do we think people are going to settle for just one show about Kentucky sports?’” Cox said. Cox offered examples of leaders he admires, including U.S. Senate Majority Leader Mitch McConnell, a strong supporter of Kentucky’s coal industry; U.S. Senator Rand Paul, who identifies government waste and cautions against unnecessary spending; and Governor Matt Bevin, who promotes conservative initiatives to grow jobs and make Kentucky more competitive. However, it’s difficult for anyone to break into sports radio unless they are personally wealthy or have close connections to industry insiders, Cox said. The New Kentucky Podcast could help by organizing and supporting qualified listeners at the local level in every part of the state, he said. It would be particularly smart to focus on areas that KSR increasingly sees as “unattainable” in terms of affiliates, Cox said. The New Kentucky Podcast welcomes private donations, Cox said. The 2016 football season will be the Cox’s first chance to make an impact, because basketball doesn’t start till November. But Cox said he isn’t trying to force his political opinions on anyone, and won’t formally endorse candidates as part of the show. 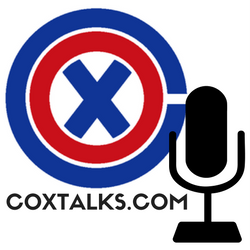 The podcast’s listeners are free to vote under any party label they want, Cox said. FOR THE RECORD: This is strictly satire. I like Matt Jones. I’ve listened to him for several years. His website made a silly rap song/video I created become quite popular locally. I’ve guest-blogged on Kentucky Sports Radio in the past. I think his radio show is entertaining and provides a good source of news for the Big Blue Nation. I also believe Jones is pretty objective when talking politics on his show. The purpose for parodying this article is to provide perspective on his new project, not because these are my actual feelings toward his radio show, and not because I’m seriously considering starting a show of my own. I’m just not sure Jones realizes how many conservatives (and perhaps some Kentucky Democrats) are going to read about his new project and feel like they’ve been slapped in the face by his comments. Here is the link to the original Herald-Leader article by John Cheves, which I used as the framework for this piece.